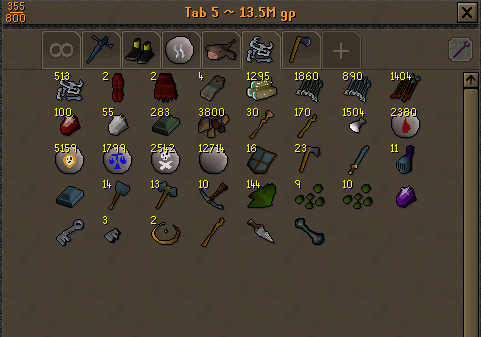 Hello Everyone This is gona be a Log of all the Drops That i have gotten from Skeletal Wyvern's on my quest for a visage Drop This will continue on and be Updated Day by day I hope you enjoy. 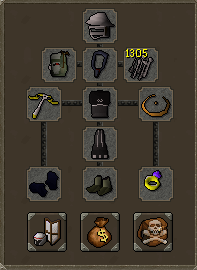 Here's the inventory setup I use as I range them. 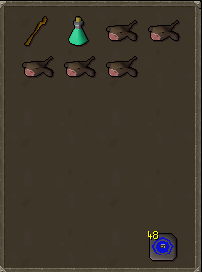 Note: Been alil busy with IRL stuff so couldn't update this the other day But here's the progress of about 1 and a half days of wyverns. Haven't had any good Noticeable Drops Recently but a lot of the Notable drops have been stacking up so I hope you enjoy the progress. P.S. 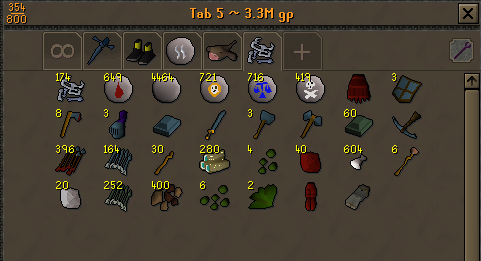 I Removed Pure Ess Because ive decided to stop looting them. 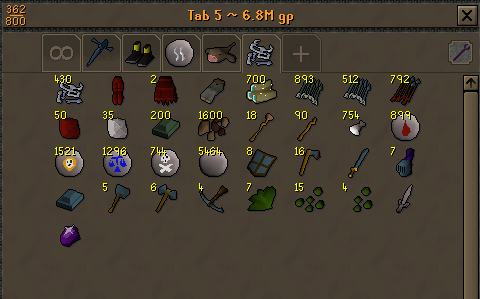 Note: Ive made a huge loot impacting decision that i will no longer be collecting bones Its actualy more money per hour to just bury the bones and keep killing cutting down the Time I spend Running to bank and running back to wyverns. 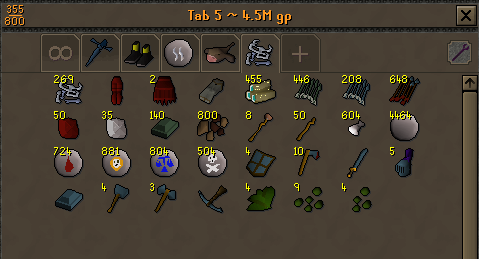 Because i have stoped looting bones i put pure essence back into the loot tab because i am able to loot them now without fear of having them take up a inventory spot that could be used to hold a more valuable drop. 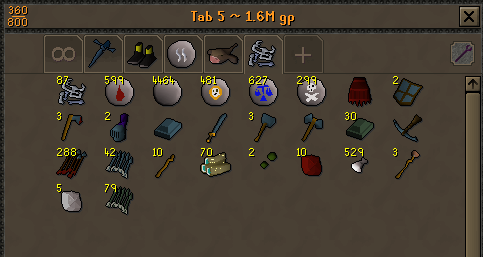 Made a decent amount this day Got a dragon Legs drop my luck may be turning around. 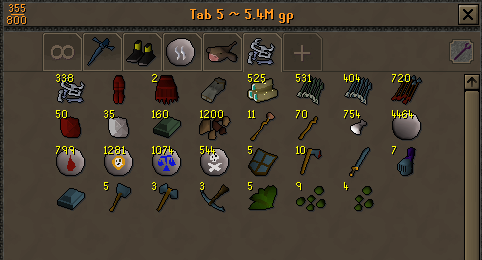 Made a collective 3.6m today I farmed them for along time today about 6 hours. 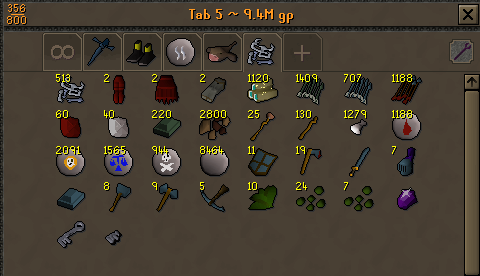 Note: Ive been pretty busy with work past few weeks buy this is how the tab is looking atm its at about 11m. Good luck bud! You will get it soon! How many hours per day are you killing to rake these millions? nice post G0d of m0ney, just curious how many kills average a day? you'd say? Any update? I want to see that vissy! Snowie wrote: Any update? I want to see that vissy! Good luck! I know you'll get the visdage drop! Look what I just got, on kill 742 or so!